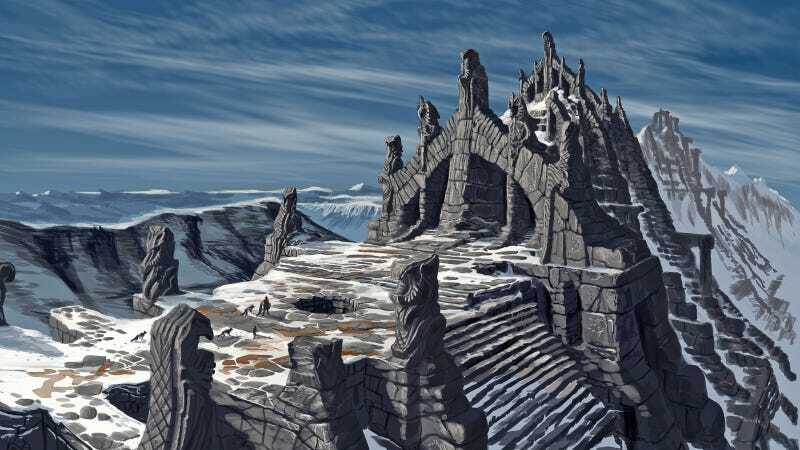 Art dealer Cook & Becker (who put out that Sonic book we looked at on Monday) have something else to show this week: a series of quality art prints featuring concept art from Skyrim. Most of the pieces chosen are by senior concept artist Ray Lederer, and come hand-signed and numbered, though there are also some from other artists as well, including Adam Adamowicz. Each ships on fancy fine art print, which means they don’t come cheap: an unframed piece will set you back $90-200 depending on the image, and you can add a lot more if you want it framed. Still, if you’ve ever wanted a proper version of the game’s iconic “Dragonborn” image to hang in your office, here’s your best shot at getting it. The images available are down below (and really, this is just a very good excuse to revisit some cool concept and promo art from one of the biggest games of the decade).